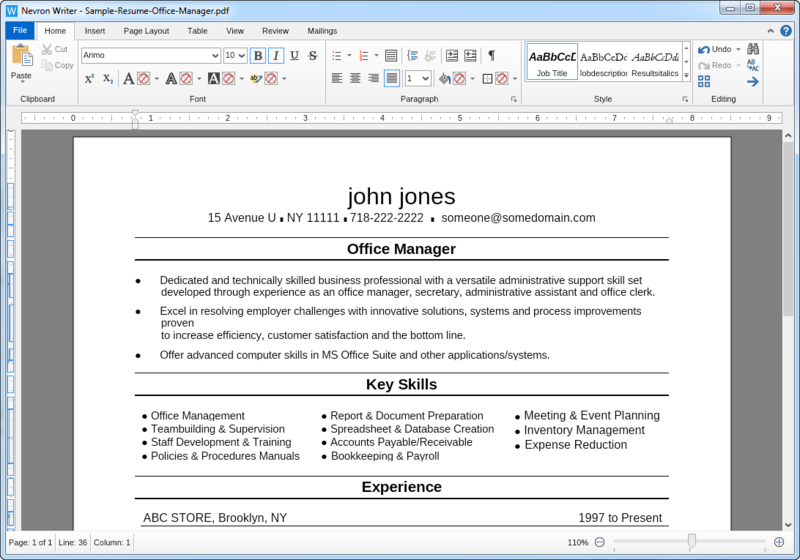 One of the most common tasks nowadays is converting a Word document (the well-known DOCX format) to a PDF file. Sending a PDF file helps both business and individual users to ensure their document will look and behave consistently on any device, regardless of the office suite that the receiver has chosen to use. Nevron Writer offers a quick and easy conversion of your DOCX (Word) documents to a well-structured and presentation-ready PDFs. 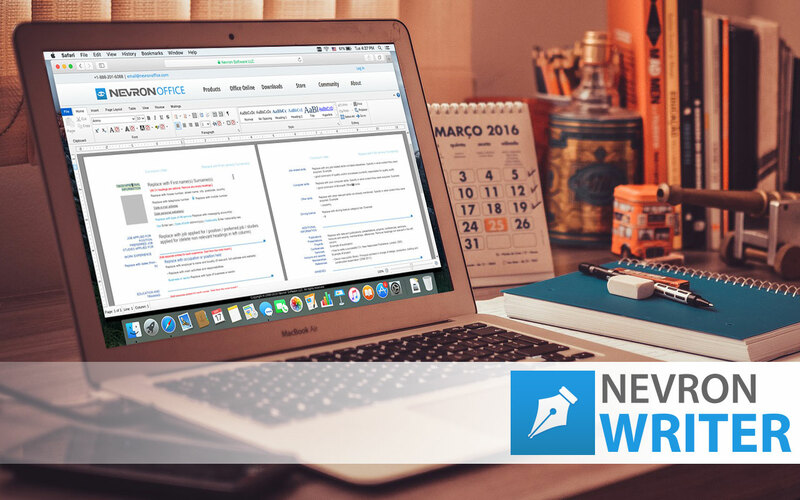 If you haven't already downloaded and installed Nevron Writer, visit the Downloads page here or get it directly from the Mac Store here. Then open (or create) your document using Nevron Writer. 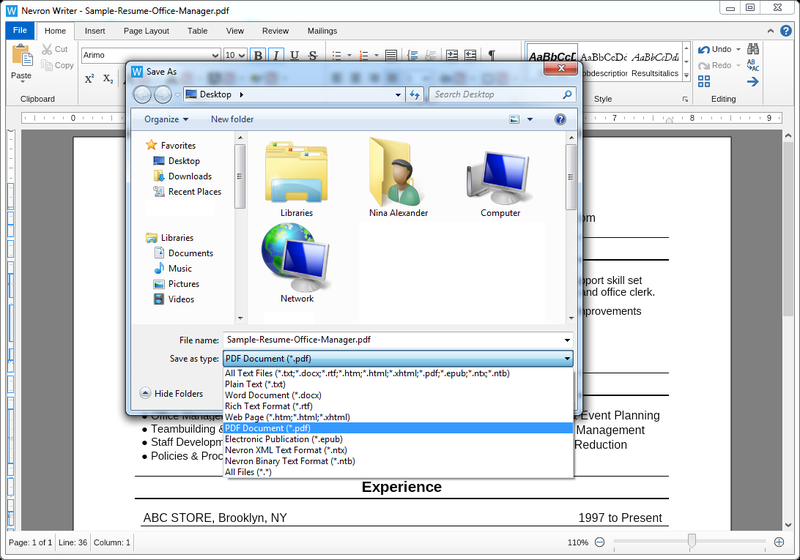 To convert your Word (DOCX) document to a PDF file, simply go to the File menu, click Save as and select PDF Document from the drop down file options. 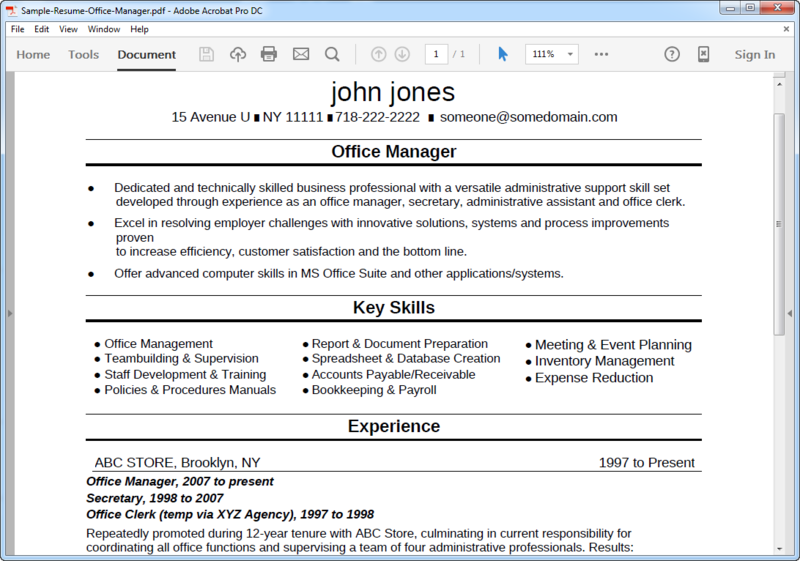 Once you save your file you can preview it with any PDF reader - it will look exactly as your Word document.